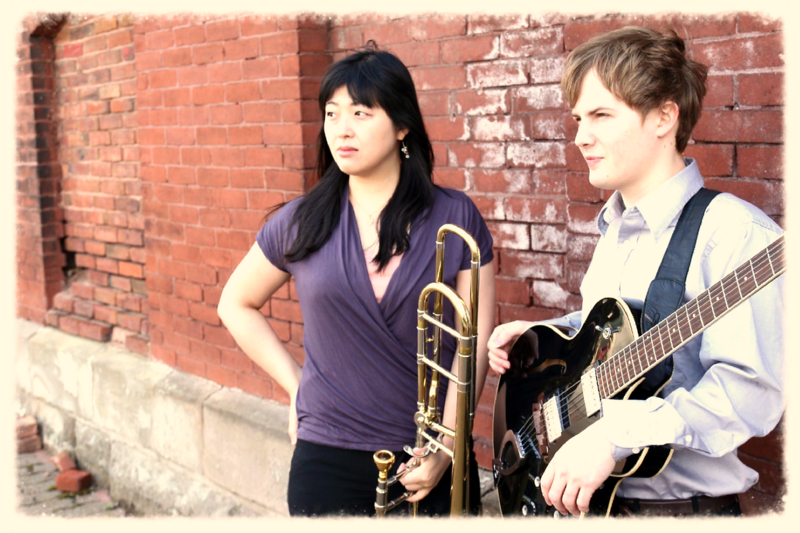 StringBone!, a duo made up of MPSOM graduates Mike Borowski (M.M. Performance, 2012; B.M. Performance, 2012) and Naoko Hirai (A.D. Performance, 2012), has been performing throughout the Pittsburgh area as well as London and Japan for nearly 3 years. Both members are highly trained musicians who love playing and sharing their music. Read more about StringBone! here. Borowski has also traveled across the country, performing with the Marine Band. Read more about his life-changing story here.